Footprints in the snow lead to the Nativity scene outside the Glenview Community Church. Someone's stolen the baby Jesus. 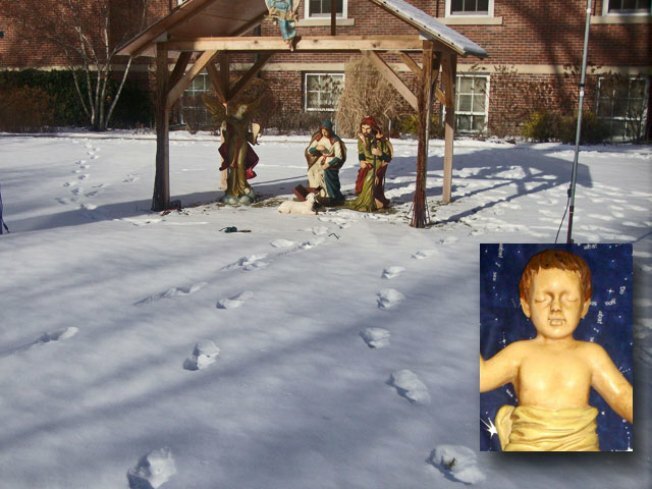 Footprints in the snow outside the Glenview Community Church lead to an incomplete Nativity scene: the baby Jesus isn't in his manger. "It's pretty sad, isn't it?" said Jennifer Helgren, the facilities manager for the church, located at 1000 Elm Street, in Glenview. Helgren said the scene was complete when she saw it Saturday night. By Monday morning, the 16" figure was gone. It took a bit of work for someone to commit the sacrilegious offense. The manger was staked into the ground and the baby Jesus was wired to the display, Helgren said. Glenview Community Church has a duplicate figure of Jesus that can be used in the display, Helgren said. Theft of figurines from outdoor displays is not uncommon during the Christmas season. A quick Internet search turns up similar stories of unholy heists this season in Massachusetts, Arizona, Indiana, Texas, North Carolina, Ohio and New Brunswick, Canada. 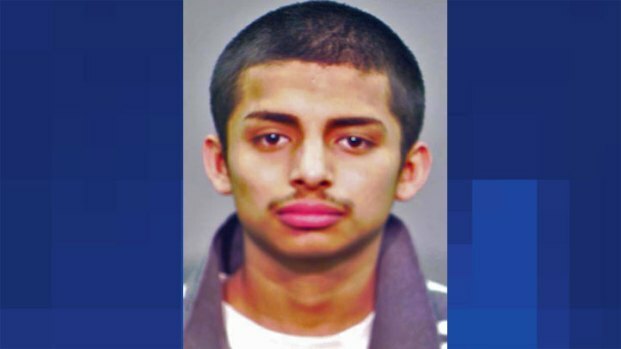 Anyone with information on the crime should call Glenview police at 847-729-5000.